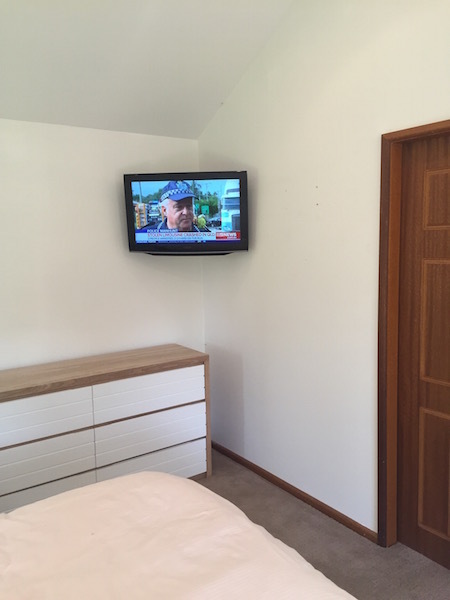 This TV installation and wall mount Avalon Northern Beaches Sydney was a very quick and simple tv installation. 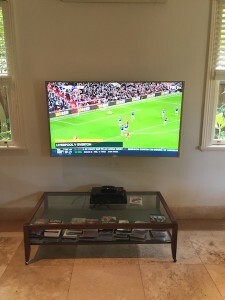 The customer had moved into his unit for a few years and had been wanting to wall mount his Sony LCD TV to the wall for a while. 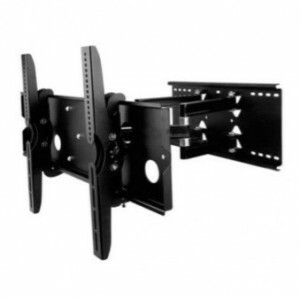 The customer supplied his own wall mounting bracket. The customer and I choose the best height and positioning of the TV to suit their needs. 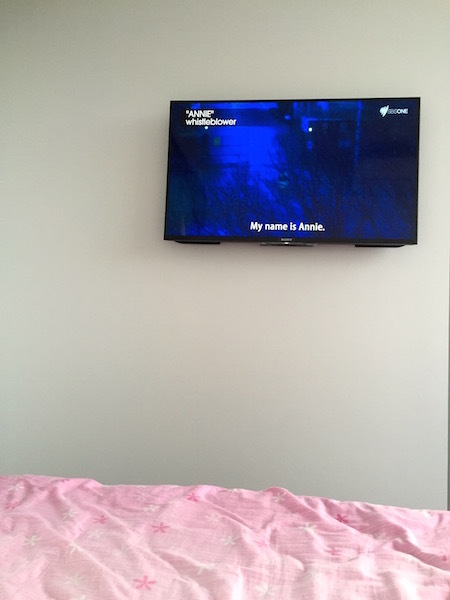 We connected the Apple TV and Foxtel Play back up to the internet. 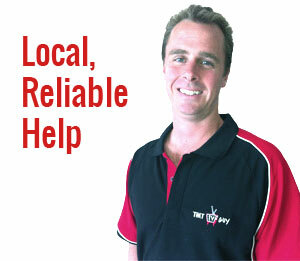 If you have any questions or need any advice about TV’s, Surround sound, sound bars, HDD recorders, Digital TV, Internet TV, Foxtel, Optus TV with Fetch, Apple TV, Netflix or anything else don’t hesitate to call Peter from That TV Guy a call on 0401 202 087. We decided to purchase another wall mount, this time being a swivel mount and place the tv in the corner of the bedroom. 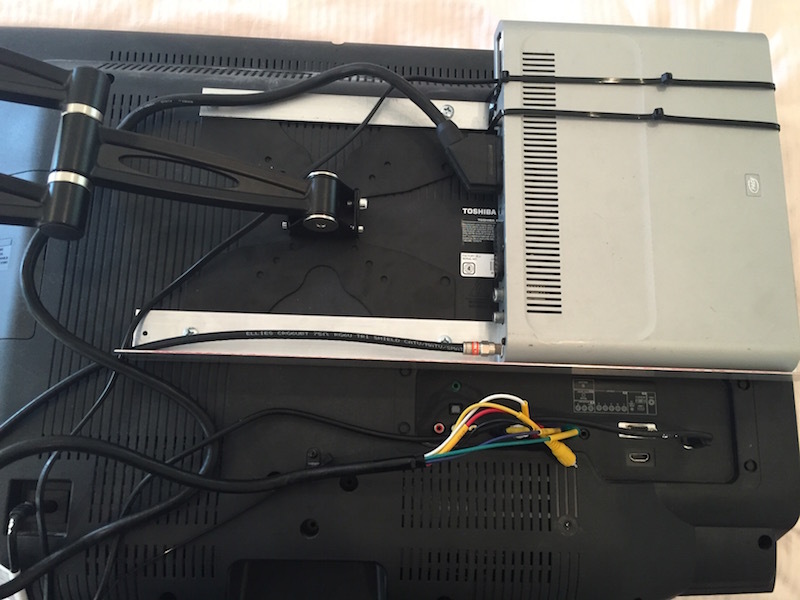 With the LCD TV in the corner we could hide all the power and antenna point behind the LCD TV. 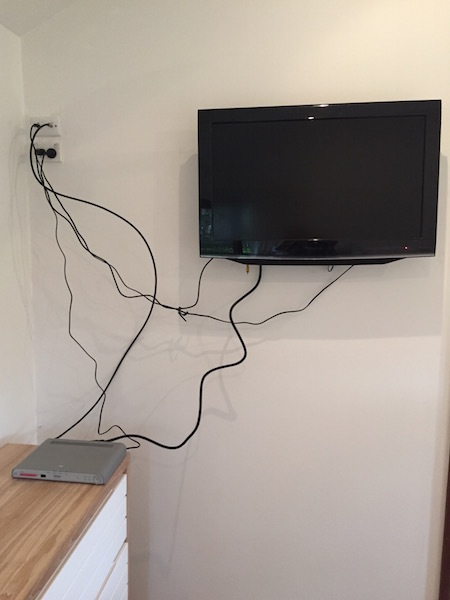 We also decided to mount the Foxtel box behind the tv and out of sight. 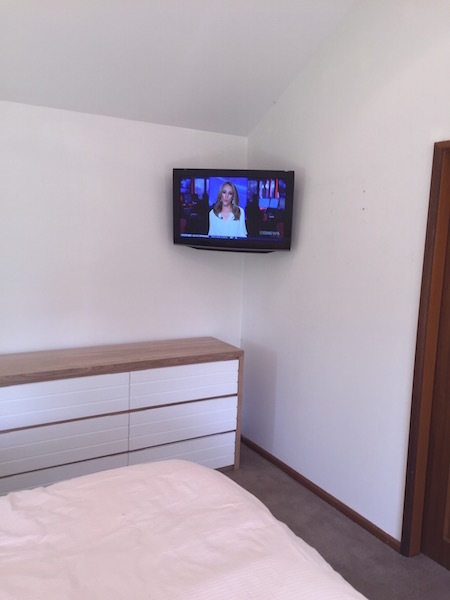 We made up some aluminium brackets to mount and support the Foxtel box. 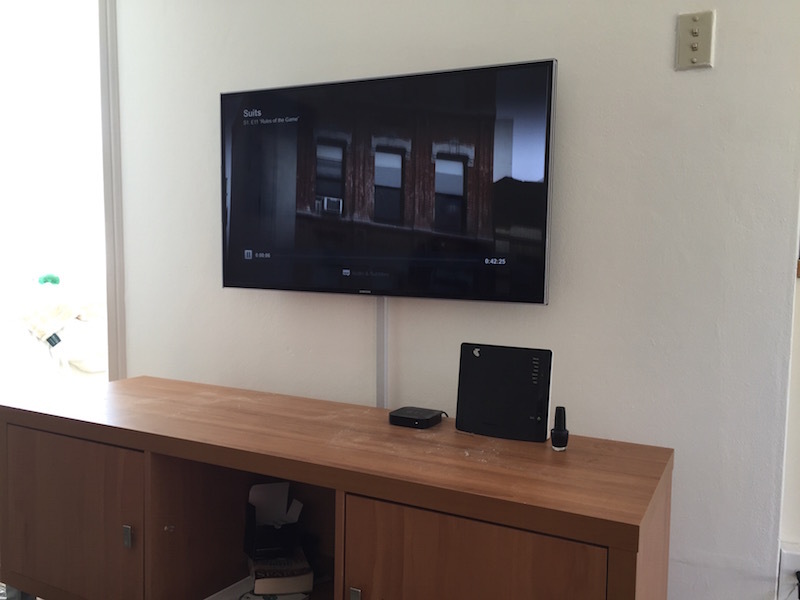 We used the same holes used for mounting the Toshiba television. Overall a neater and tidier look for in the bedroom. the foxtel box is hidden and out of the way. The Toshiba LCD TV also has a built in DVD player. We could still get access to the dvd on the side of the tv.